Did you know you can watch hops growing? Try it on this tour through the world’s biggest continuous hop growing area. You will pass numerous extensive hop gardens as you cycle through the hilly hop-growing country on a circular bicycle tour that takes in the towns of Mainburg and Attenhofen. The tour starts from the market square in Mainburg before wending its way through the extensive green hop gardens. Leaving the town you go first of all via Sandelzhausen and Großgundertshausen towards Böham. From there you can also reach Volkenschwand, where the Grosse Laaber cycle path starts. The next town along the route is Attenhofen. 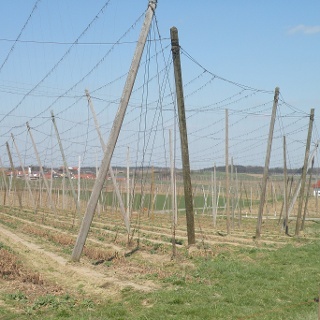 One of the attractions here is the Hop Experience guided tours for groups through the local hop growers’ fields. Please book in advance! 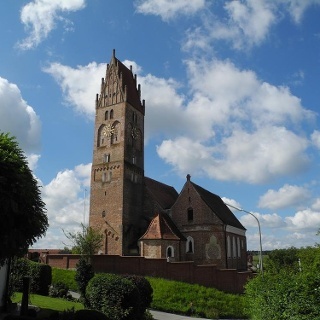 Continue through idyllic villages until you reach Unterwangenbach. Here you can make a side trip to Ratzenhofen, where you can stop off in the picturesque castle beer garden, or alternatively to Elsendorf, where you can enjoy an outstanding view of the hop fields in the ‘Hallertau hop heaven’. The route then follows the Abens cycle path along the idyllic Abens back to Mainburg. This tour is especially nice in late summer, when the hops have grown to their full height.